Lately, I can’t always count on my weekends to be fun or productive or much more than just zoning out and regaining my sanity after an insane work week. Because it’s the only time I get to unwind and do more than just work, it depresses me when it’s over without anything worth noting. The past few weekends have been like these uneventful, over-too-soon breaks in my work life. But not this weekend. No, this weekend was made of awesome. It started Friday, by having off for Good Friday, which by itself felt like a much needed gift. I got nine hours of sleep for the first time in months, caught up on the internet a bit, and dove into a book for the first time since January. A book that totally rejuvenated my creative mind. Saturday it took me a little while to get started and I worried I’d lost my prime morning productivity time, but I sat down with my nightmare novel Dreamsters just before noon, determined to finally reach it’s end and just over 2K later, I did! I FINISHED MY FIRST NOVEL! It’s probably not as exciting to most as it is to me, but I’ve been working on the same 4 novels for the last 5 years. For a while there I was starting to think I’d never reach the end. I’d never reached any of the ends of my scripts as a teen/young adult and while I have finished a handful of short stories, I was really worried I just didn’t have what it took to actually write a full novel. It feels incredible to have proved myself wrong. 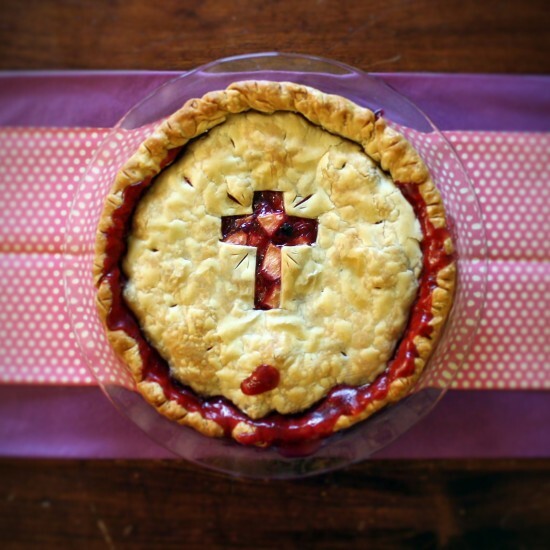 It’s was hours before I could get my heart to settle down over it so I set out to bake an Apple-Berry pie for Easter. I took photos of the process this time and posted the recipe in case you’d like to try it out. Today I had to be up early to help Mom at church all day for Easter breakfast/brunch. In the years past this has completely wiped me out and it definitely did this year, too, but it was somehow more fulfilling than in years past. More than 400 people showed up for service and there was a lot of great fellowship. 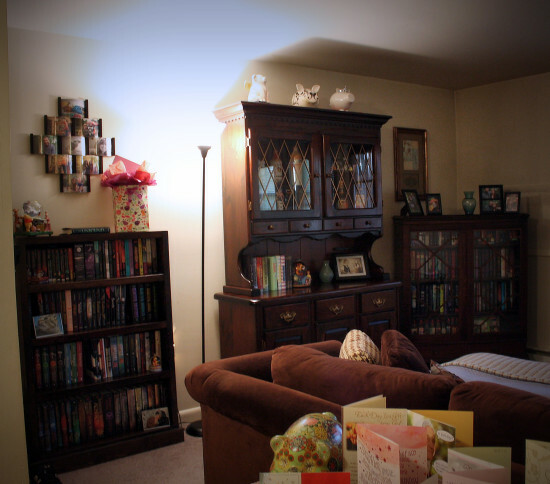 I had intended on crashing when I got home, but I stopped by my Maw Maw’s and looked through old family photos (some of which I stole to scan for Throwback Thursday) and then headed home to do a little cleaning in the living room because I finally got a new bookcase! It’s not new as in freshly built from the store, but new to me. It still doesn’t house all of my books, but a heck of a a lot of them, freeing up the previously improper places for any new additions. The living room feels a little crowded now, but overall I’m happier with a proper home for my biggest collection. I’m yawning as a I write this and I’m not really ready to go back to work tomorrow, but for once I’m feeling really good about how I spent my weekend. And even though I know I’ll be sleepy tomorrow morning, I’ll be mentally sound and that’s worth a lot in my world. 2 Responses to "Weekend Full of Awesome"
And you have a new bookcase, too? Lucky you! Most of my books will be stuck fending for themselves until I finally move into my own place, haha. Glad some of yours finally have some nice shelves to hang out on!